Products, prices, availability change daily. 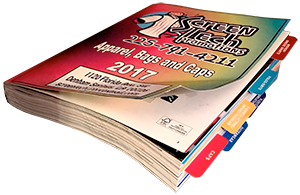 Please call 225-791-4211 or visit us for the latest details on promotional items. Below is a small sample of the most popular items we can provide. We offer all of the top brands. The logos below represent a small sample of the products available. Please call or visit to get the best products at the best price. Gildan is a popular brand of t-shirt. 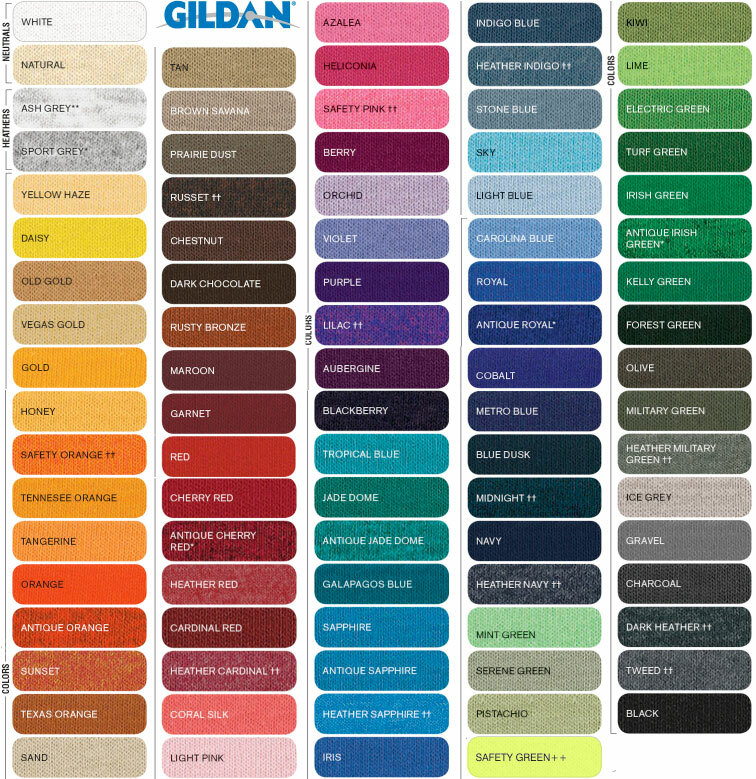 This is a color chart to get an idea of the colors available. Please note this is just one sample company. New colors come and go at almost a daily basis so please call us to check availability. Not all sizes come in all colors. This smooth walled stadium cup is the staple of the promotional products and barware Industry. 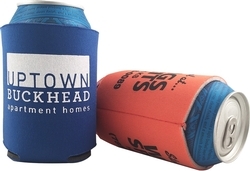 The plastic cup is perfect for the beach, sporting events, tailgates, weddings, festivals, giveaways, and social activities! A durable, eco-friendly, fun, tumbler that will be taken home and reused. 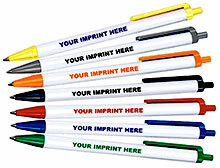 We offer many types of promotional pens in many colors. Please call or visit to see a full sample of pens available.